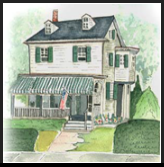 Cape May Fall Rental at the Longfellow House & Wine Tasting! Consider that more than 200 years ago, London's Royal Society of the Arts recognized two New Jersey vintners for their success in producing the first bottles of quality wine derived from colonial agriculture! Today, New Jersey's wineries continue the tradition of producing high quality wines. New Jersey's more than 30 wineries offer more than just acclaimed wines, they offer a total wine experience. Many of these wineries will be part of the 1st Annual Cape May Wine Festival. For more information call 609-884-5404 or 800-275-4278. Posted on September 3, 2008 by Billy Longfellow.